You are here: Home / Featured / CEBU PACIFIC AIR: 199 ALL-IN TO ALL FLIGHTS! CEBU PACIFIC AIR: 199 ALL-IN TO ALL FLIGHTS! Holiday season is finally near! Time to have some Christmas adventure with family and friends! 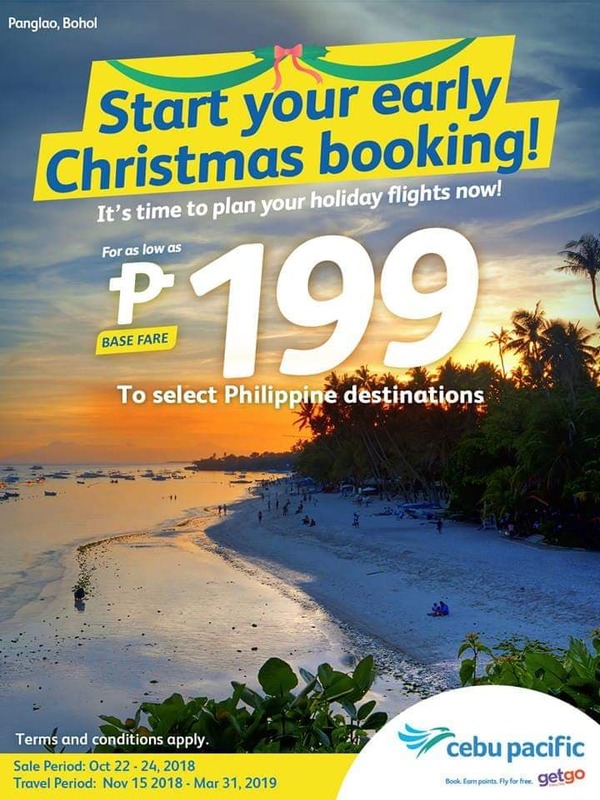 Start planning and start your early Christmas booking with Cebu Pacific Air. For as low as 199 all-in, you can fly to any Philippine destinations and as low as 1199 all-in to any select international flights.